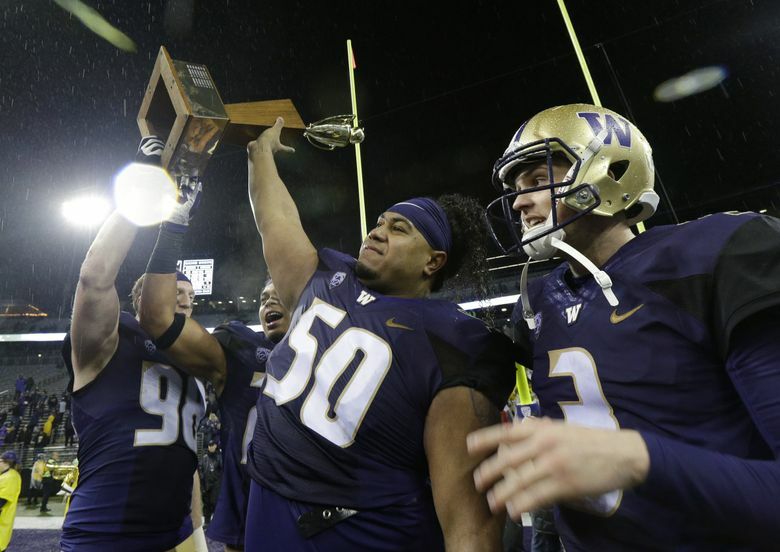 Vita Vea, the Pac-12's defensive player of the year, formally announced his plans to declare for the NFL draft on Monday. Vita Vea isn’t the only Washington defensive lineman moving on. Vea, the Pac-12’s defensive player of the year, formally announced his plans to declare for the NFL draft on Monday, two days after telling The Seattle Times that the Fiesta Bowl was his last game in a UW uniform. Also Monday, reserve defensive lineman Ricky McCoy announced his plan to transfer to Fresno State, in his hometown. McCoy cited “serious family issues” in his decision to transfer. A 301-pound sophomore, McCoy redshirted with the Huskies in 2015 and then appeared in just five games over the past two seasons.